A veggie-packed b-fast sandwich with lean protein and just the right amount of good-for-you fats? Yup! When ordering off the menu, ask for an Egg & Cheese 3-inch Flatbread; then request egg whites in place of eggs, skip the cheese, and add avocado. Like a little more flavor? Add Sweet Onion sauce for just 40 calories and no fat. Craving meat, cheese, and eggs? You got it! This variation on the standard Black Forest Ham, Egg & Cheese is just what you need. That Honey Mustard dressing makes it taste extra decadent. More of an egg-white gal (or guy)? This order with egg whites has only 200 calories and 7g fat. Natural cheese, healthy avocado, multi-grain bread... It all sounds so nutritious. But that's a hefty calorie-and-fat price tag for a simple a.m. sandwich. These stats don't even include any sort of sauce or spread -- a smear of Chipotle Southwest sauce would ratchet things up to 600 calories and 33g fat. The good news? Switching to a 3-inch flatbread with egg whites will bring this treat's tally down to 240 calories and 11g fat. Not bad! 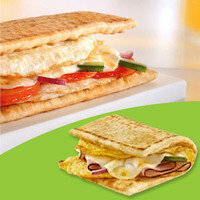 Takeaway Tip: A 3-inch flatbread with egg whites is an excellent start to a no-guilt breakfast at Subway. But beware of piling on too many high-fat ingredients (no matter how healthy the buzzwords). And extra veggies are always encouraged! One of the smartest picks at the whole place... Love that double dose of lean protein! Start with the above, and add an indulgent extra if you like. Shredded Monterey Cheddar cheese? That'll put you at 350 calories and 9g fat. Add avocado instead? 360 calories, 10g fat. 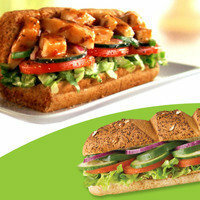 Chicken's not the only smart option on a Subway salad. This sandwich-inspired selection is topped with ham, salami, and bologna... all turkey based! A splash of vinegar seals the deal. We've said it before and we'll say it again... Tuna salad is a major food faker! Even without the Olive Oil Blend dressing, this salad has 24 grams of fat. If you're craving a scoop of creamy tuna over a big bed of greens, DIY with this HG recipe. Takeaway Tip: The wrong dressing can sink any salad fast, but both the Sweet Onion and Honey Mustard are low in fat and delicious. 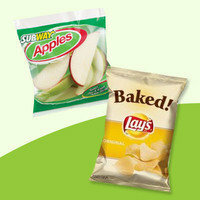 Add either one to a salad for 60 - 80 calories, but don't feel compelled to use it all. Get it on the side; then dip, don't pour! We love this sweet-and-savory sandwich. That Sweet Onion sauce is so delicious! Even better is the fact that the sauce doesn't really make sense with cheese -- who needs it? With a nice low-calorie base, why not add avocado for a dose of healthy fat? Between the flavorful mustard, the creamy avocado, and the slightly sweet Honey Oat bread, this meat-free sandwich is anything but boring. The most fattening sandwich selection on the menu. So lame. And these numbers are for the 6-inch sub -- the footlong version has 1,200 calories and 64g fat. AAAAAACK. What's the Deal with the Flatizzas? In size and design, these pizzas (made on 6-inch flatbreads) remind us of the single-serving frozen pizzas we'd buy at the grocery store. The stats are just okay -- not awful for a "pizza." 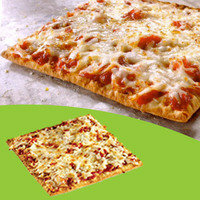 The basic Cheese Flatizza has 390 calories and 16g fat. Not one of our top picks, but now that you have all the info, the choice is yours! When in doubt, go Fresh Fit! These are the magic words at Subway. 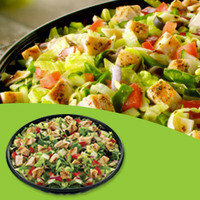 Choose a Fresh Fit menu item and steer clear of heavy toppings for a guilt-free meal, guaranteed. 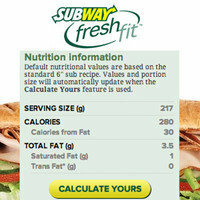 Take advantage of Subway's Nutrition Calculator! Just select an item from the website's menu, click "Calculate Yours," and customize away. Wanna do it from your smartphone? Subway's mobile site doesn't have this feature, but just click "View Full Site" at the bottom of a page to access it. Yay for that! HG Heads-Up: While the Subway online calculator is essential for customization, the numbers can vary slightly depending on how you modify your meal... and there are some differences between the calculator and the Nutrition Information sheet. When it comes to standard menu items, the most accurate info can be found on the downloadable Nutrition Information sheet. Tomorrow, July 19th, is National Daiquiri Day... and Sunday is the 8-year anniversary of our Magical Low-Calorie Margarita recipe. You should probably check out this list of our best cocktail recipes, so that you're prepared to celebrate all weekend! 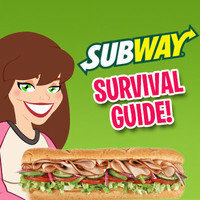 We all end up at Subway now and then -- click "Send to a Friend" to make sure your pals are well informed!